This entry was posted in Beer, Photography, Pubs, Seeing Family, Wordless Wednesday and tagged Gasthaus, Octoberfest, Wordless Wednesday. Bookmark the permalink. 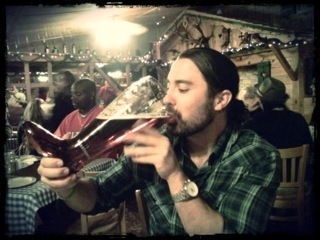 Now that’s a huge beer! Hope he’s not far from the ‘Gents’.